'Transfer Efficiency' - One of the most important technical terms which applies to absolutely every method of liquid application / deposition by spray atomisation in every finishing industry, bar none. In this article I am concentrating on Paint spraying, whereas the same technology is also used for application of waxes, release agents, lubricants, some foodstuffs, and other liquids. WHAT DO WE MEAN BY TRANSFER EFFICIENCY? In short, how efficiently any type of spray gun can transfer the relevant coating to the intended surface. The lower the wastage during delivery from point of atomisation to the substrate, the higher the transfer efficiency. Strictly this is "The ratio between the weight of paint solids deposited, compared to the weight of the paint solids sprayed, expressed as a percentage". Typically this can vary from as low as 25%, up to 95% in ideal circumstances with certain systems. STOP TO CONSIDER THAT FOR A MOMENT. Most companies recognise that their paint finishing is a very beneficial but relatively costly process. However if you were told that up to 3/4 of the money you spent on paint was 'wasted' would you want to accept this? A poorly set-up conventional spray gun will only transfer between 15-30% of the paint onto the actual item being painted. The rest? Ends up as 'overspray' on the floor, in the air around the applicator, and prematurely overloading the spray booth filters. This increases component cost, creates a dangerous working environment, adds to maintenance bills, and ultimately slows down production - reducing your manufacturing profitability. A correctly set-up Electrostatic Air-assisted spray gun can transfer between 60-80% of the paint onto the item being painted. This reduces paint consumption per component by as much as half, creates a much cleaner working environment, and vastly reduces the speed with which consumables such as filters have to be replaced. SO WHY DOESN'T EVERYONE USE THE MOST TRANSFER EFFICIENT SPRAY EQUIPMENT? 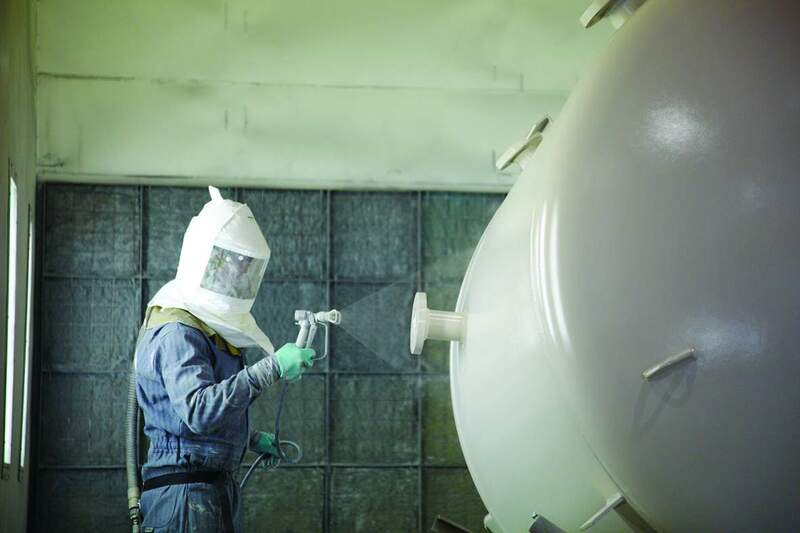 This often due to the nature of the items being painted - either the substrate material or physical shape, quality of finish needed, size of batches being painted - hence the volume of product being sprayed, the actual nature of the coating - volume solids / viscosity / thixotropy, and also initial investment cost of the equipment compared to the cost of wastage being produced. And often, even in this modern age of information available at our fingertips, end users are not even aware of this due to lack of 'education'. TYPICAL COSTS OF DIFFERENT SPRAY EQUIPMENT METHODS. Here I am assuming that readers are aware of & understand common terminology used to describe atomisation methods. We are not considering for 'special offers', nor bespoke or high-end versions of each type, which can increase budget by 50% or more. ENTRY LEVEL SPRAYGUN - £25. We've all seen the Ebay bargain. Gravity fed spray gun delivered tomorrow no carriage. As explained above, this one tool could be costing a typical smaller coating user £100s every year in poor transfer efficiency. Little availability of spares or different combinations to suit particular coatings. MARKET LEADING CONVENTIONAL SPRAY - £200. 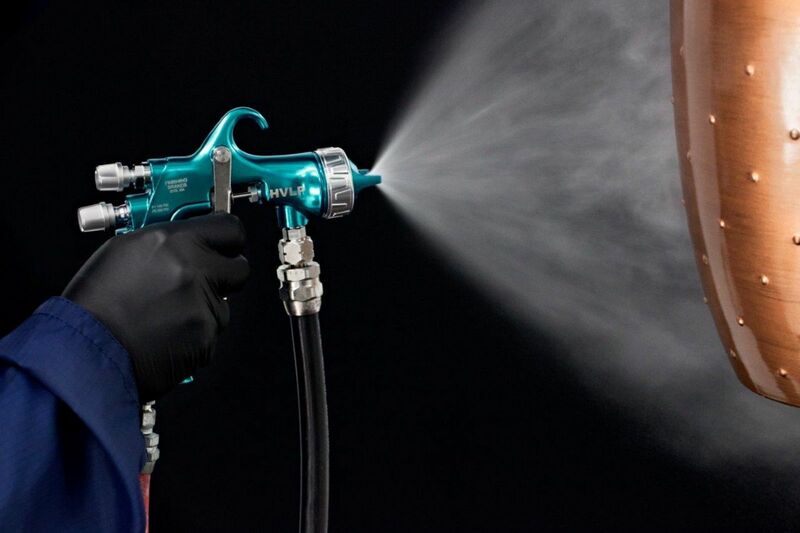 Typically a recognised brand with reputable availability of spares and backup will allow the interested user to get their hands on a 'proper' spray gun for relatively small outlay. Within 2-3 months this could pay for itself in reduced paint wastage compared to the entry level product. Wide range of setup combinations to atomise most coatings. MARKET LEADING 'TRANSTECH' SPRAY - £300. Often a top end spray gun will also be available with specific aircap combinations which are proven to further increase transfer efficiency compared to traditional products. The difference? Lower consumed air volume and pressure, creating less overspray. This is not the same as true HVLP, which can struggle to apply modern relatively high-solids coatings. Very adjustable width of spray and coating application speed. Suitable to paint the highest critical finishes such as high-gloss. Again ROI can be under 12 months. AIRLESS SPRAY - £1500 upwards. Typically used for industrial or metal paints. Can be either pneumatically, electrically, or engine driven, depending on the nature of the working environment. Relies on very high hydraulic pressure forcing the paint through a very small orifice which naturally causes it to atomise. No air is used to mechanically atomise the coating. Can be used to apply the highest-solid coatings, and is technically the fastest way to apply a paint. Creates a relatively poor quality of surface smoothness which is considered normal for structural steelwork. AIR-ASSISTED SPRAY - £2000 upwards. As above, but with the addition of some 'shaping' air at the aircap, giving a better quality of finish compared to airless, and scope for some control of fan width. The default method for modern wood coatings for furniture and more visually critical industrial finishes. Simple to use once demonstrated. ROI can be in as little a 1 year due to the potentially large increase in transfer efficiency and speed of production compared to conventional spray. ELECTROSTATIC SPRAY - £2500 upwards. Basically an 'upgrade' technology to both low-pressure and high-pressure atomisation methods, all have to be fed via some method of dedicated paint supply such as pressure pot, diaphragm pump, or HP pump. Some manufacturers develop the charge within the gun by means of miniature turbine, others use a remote power pack and supply cable - each have their benefits depending on the application. Can be used to reduce paint usage in nearly any application, sometimes by up to 50% - but require higher levels of operator care and contain relatively expensive components if damaged. In most circumstances a relatively small investment in superior spray atomisation equipment can lead to significant reductions in cost per component, improvements in staff working conditions, and increased production speed. LIKE TO KNOW MORE, OR HAVE A PARTICULAR APPLICATION YOU WANT TO DISCUSS? We provide end users with access to, & support for, all recognised manufacturers of spray equipment. A guide to Paint spraying, equipment costs and transfer efficiency.